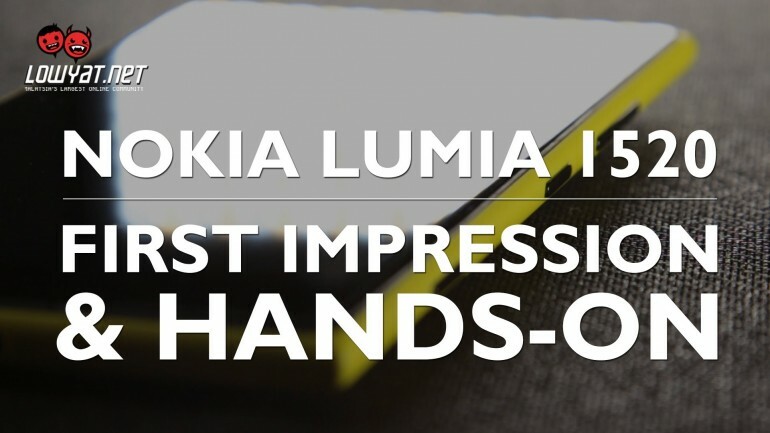 We were fortunate enough to get a brief hands-on with the Lumia 1520 ahead of the official launch in Malaysia. The Lumia 1520 is Nokia’s first foray into the Phablet segment and is actually the first Windows Phone Phablet in the market as well. Check out the video on Lowyat.TV to see what all the fuss is about! We’re working on a full review as we speak, subscribe to Lowyat.TV to get the first look at our videos as soon as we upload them!